The Worcester Bosch range of boilers won the ‘Which?’ best buy award for 2012, 2013, 2014, 2015, 2016, 2017 and 2018. Three Shires Heating is an accredited installer of Worcester Bosch boilers. 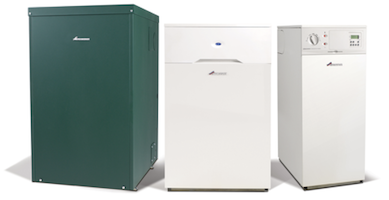 New high efficiency boilers are all ‘A’ rated in the energy efficiency chart and provide an efficiency of at least 90%. This means for every £1 you spend on fuel, at least 90 pence will get converted into useful heat. Compare that to standard boiler systems that generally only manage a 50% to 60% boiler efficiency rating at best, and you can see where savings can be found. It’s important that you get the correct type of boiler to suit your hot water and central heating requirements. 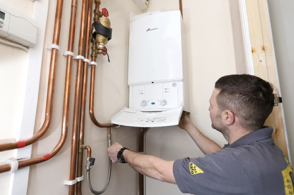 Our qualified engineers at Three Shires Heating are familiar with all brands of boilers and components found on a central heating system, old or new. If you are looking for a heating company that is fully conversant in the latest technological developments,you need look no further, we will ensure that you benefit from increased efficiency and reliability from any gas or oil central heating system that we install. Why not use our FREE no obligation online quote tool to give you an idea of how much your new boiler is likely to cost. Our core goals are customer satisfaction and a quality after-sales service, which is why we offer free quotations, advice & a workmanship guarantee.